1. Applesauce for oil, butter or sugar. Applesauce is a healthy baker’s best friend. Not only does it add sweetness to recipes, but it does with significantly fewer calories than sugar. Without butter, you’re cutting saturated fat from baked goods like muffins, breads, and brownies. Apples also have the benefit of added fiber. 2. Nonfat Greek yogurt for mayo or sour cream. Nonfat Greek yogurt has far fewer calories and fat than mayonnaise or sour cream, but has a similar consistency. By making the swap, you can cut the fat while adding extra protein. 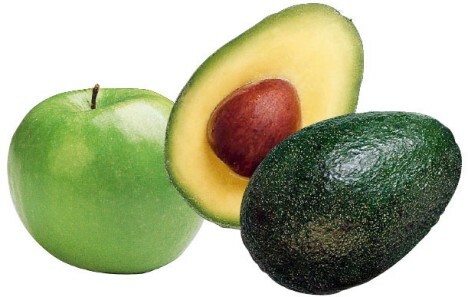 The fats found in avocados are actually good for you. Like olive oil and nuts, avocados are high in monounsaturated “good” fats, which help you maintain healthy cholesterol levels and protect your heart. In contrast, solid fats like butter are high in saturated fats that raise your cholesterol levels and risk of disease. Use a vegetable peeler to make long, thin, noodle-like slices of zucchini or spaghetti squash. Skip the boiling and bake or sauté the “noodles” for a few minutes. You can use the veggies in side dishes or to replace high-carb pasta in dishes like lasagna. If you’re drinking cocktails, ask the bartender for soda water instead of tonic. Tonic water is high in sugar, while soda water contains none. Also consider adding less juice and more soda water to fruity drinks to cut your sugar content.